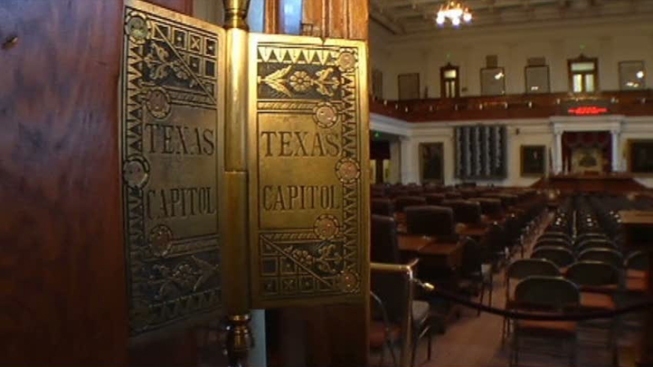 Texas senators voted Wednesday to move a statewide public corruption unit out of liberal Austin and put local district attorneys in charge of prosecuting ethics violations, a move Republicans said was needed to "depoliticize" the agency tied to former Gov. Rick Perry's abuse-of-power indictment. Republicans, who have sought the change for decades, insist the effort isn't about retribution for the Perry case or creating extra legal protections for politicians. But outnumbered Democrats worried local prosecutors who know officeholders might be unwilling to prosecute their friends. Houston Republican Sen. Joan Huffman's bill makes the Public Integrity Unit part of the Texas Rangers rather than the Travis County District Attorney's Office, whose chief is chosen by heavily Democratic voters in Austin. It would have Rangers investigate corruption complaints, then forward cases to district attorneys where the accused official lives. The measure passed 20-11 along party lines and needs a final, procedural vote before heading to the House -- where a similar measure is waiting to hit the floor. "Most people don't get to be tried by a hometown judge, a hometown jury and a hometown prosecutor," Watson said. Speaking to reporters afterward, Huffman countered: "The politicians now are being prosecuted in Travis County, that's a special system." "I think this creates a more-fair and certainly a more-transparent process," said Huffman, a former judge and prosecutor. She'd originally proposed that the unit be headquartered within the GOP-controlled state attorney general's office, but scrapped that to ensure speedier passage of her bill. Perry in 2013 vetoed the Public Integrity Unit's funding after Democratic Travis County District Attorney Rosemary Lehmberg refused his calls to resign following her drunken-driving conviction. A separate grand jury in Austin eventually indicted Perry on coercion and abuse-of-power charges for publicly threatening the veto he later carried out -- though that case was led by a special prosecutor, not Lehmberg or her ethics unit. Perry left office in January and says he'll announce an expected 2016 presidential run as early as next month. He has called the ongoing case against him a "political witch hunt." Restoring funding for the Public Integrity Unit has yet to be determined under budget plans still being finalized by the House and Senate. But Republicans say they're willing to pour millions of dollars back into the unit, as long as it's moved out of Austin. Huffman said her bill had "absolutely nothing" to do with Perry's case. But she also noted that bipartisan legal experts have questioned the legal merits of the case against the former governor and conceded that those concerns "certainly encouraged the process to move forward." Critics, though, rushed to pan the Senate vote. Matt Angle of the liberal political research group the Lone Star Project said in a statement Wednesday that Huffman's proposal "ensures that politicians who break the law are able to get away with it."